GermanPod101 Free Lifetime Account: Is it really free? You want to learn German but you don’t want to spend a cent. You don’t want to lose time creating an account if they ask you for your credit card just after. For you German learner, we tell you how you will access great resources for free for life and without card or having to pay. This is your unique path to fluency for free. GermanPod101 is not really free, is it? 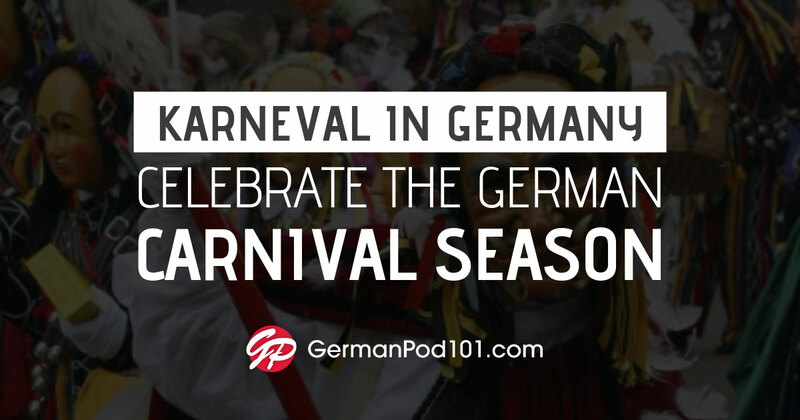 To sum-up, you create a free account only with your email address, you’ll get a 7-day trial to experience Premium access to GermanPod101, and after this period you will stay on as a “Free” member accessing all our tool and resources mentioned before. So what are you waiting for? It will take you only 30 seconds and a valid email, no credit card, no money asked, to create your free lifetime account and get on the way to reach German fluency! We’re inviting you to download your new secret weapon for learning language in 2016. You’ll learn German in minutes a day, every day, guaranteed, with mini-lessons delivered directly to you. 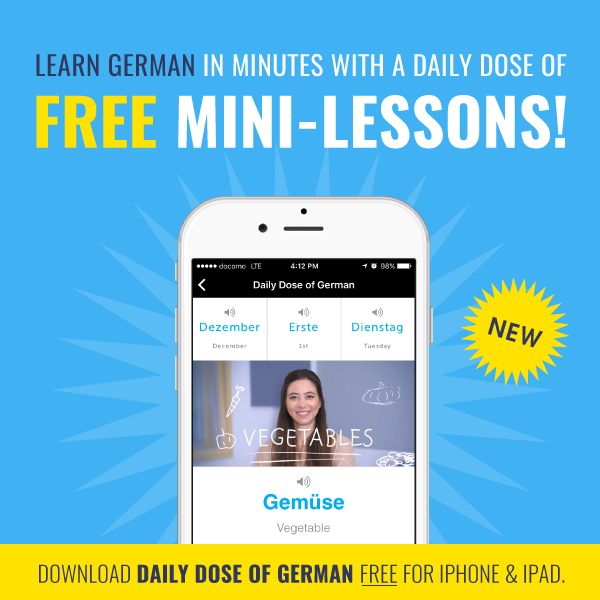 Learn German words, phrases, grammar and more with a quick daily dose! P.S. You’ll Learn German in Minutes a Day, Every Day, Guaranteed. And you’ll never feel overwhelmed. The Daily Dose App is designed to make language learning quick and easy so you can progress fast. Be sure to download it right now. The “Challenge” is quite simple: Learn AND master German in the next 12 months. This special bonus includes: Monthly audio lessons with tips, tricks and tools to help you get motivated, stay on track and improve your German all the way to December 2016. For Challenge subscribers only! 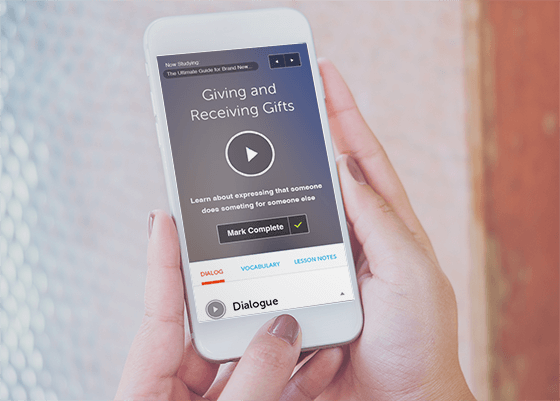 This special bonus is in addition to the 180+ hours of high-resolution audio and video lessons by real teachers, learning tools and special resources available to both Premium AND Premium Plus members! As great as our Premium plan is, however, nothing helps you learn and master German faster than our uber-exclusive PLUS Plan. 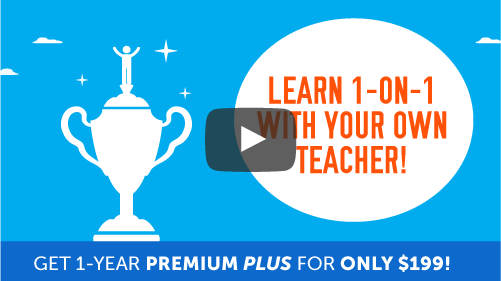 1-on-1 Interaction with Your German Teacher: Learn directly with your teacher via Premium PLUS My Teacher. Get help with all your questions and problems. Ongoing Professional Assessment: Get an assessment of your German. Understand your strengths and weaknesses so you know what to study next. Weekly Assignments & Achievement Badges: You get assignments every week from your teacher. With every completed task, you unlock badges to mark your German improvement and accomplishments. But hurry: We have VERY LIMITED slots available for Premium PLUS due to a limited number of available German teachers. And you don’t risk a cent regardless of which plan you choose because joining is risk-free. Every purchase is backed by a 60-day money-back guarantee. If you’re not speaking German as fast as you’d like, contact us for a full refund. With more than 500 million lesson downloads, 10,000s of success stories and the world’s most advanced language learning system, GermanPod101 can and WILL transform your new year’s resolution into reality and having you speaking German from the very first lesson! What are you waiting for? Click here to get UNLIMITED German lessons and be part of the exclusive Inner Circle! Why Not Save $225 & Learn German 1-on-1 with Effective Lessons? For the price of one cup of coffee a month, you gain unlimited access to the world’s largest library of German audio and video lessons. 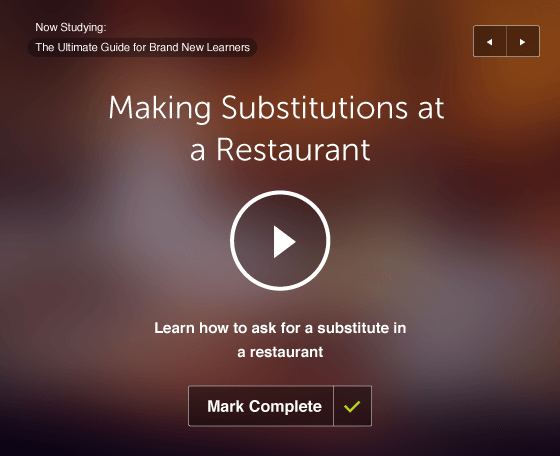 Plus, you get loads of time-saving study tools to help you learn faster. Keep reading to find out what you get exactly. Click here to learn German for just $5.90/month with Premium! But to learn German in the shortest time possible and take full advantage of the world’s fastest, easiest and most effective German learning system, we strongly recommend you sign up for our rarely discounted and most advanced: Premium PLUS. Professional Assessment: Get a personal assessment of your German. Understand your strengths and weaknesses so you know what to study next. 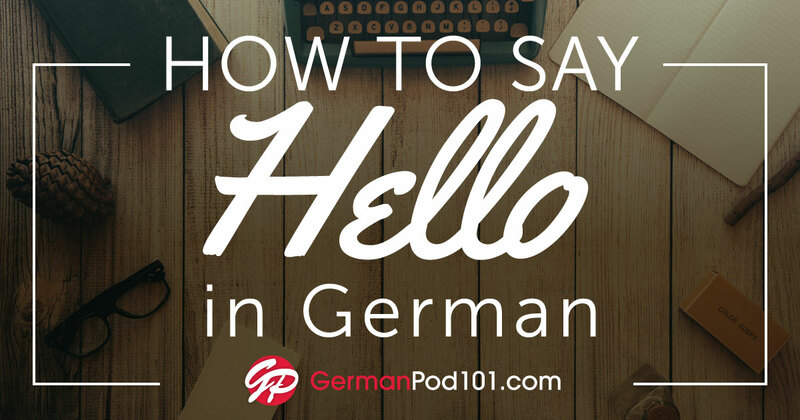 At GermanPod101, you are guaranteed to speak German from your first lesson. Our Premium and Premium PLUS plans are designed to teach your German in less time – so you can realize your dream even sooner! You can literally study anytime and anywhere. Every lesson, tool and resource at GermanPod101 can be accessed via any PC, tablet, laptop or smartphone with Internet. And with the BIG 41% discount, we’ve made learning German more affordable than ever! Your purchase is backed by a 60-day money-back guarantee. If you’re not speaking German as fast as you’d like and if you’re not enjoying the results, contact us for a full refund. No hassles. No questions asked. So, why not finally learn German? P.S. We rarely regret the things we have done in life – it’s the things we wanted to do but didn’t that haunt us! So don’t let your dream of learning German go unfulfilled for even one more day – get a BIG 41% OFF Premium or Premium PLUS! Hurry: Why Not Wednesday ends tonight, December 2nd, 2015. Put your dreams on the fast track and act now! Click here to learn German for just $5.90/month and save up to $225! Start speaking German with a PROVEN learning system: With 500 million+ lesson downloads, 10,000s of success stories, and 1,000s of current students, GermanPod101 is all you need to realize your dream of learning German next year. 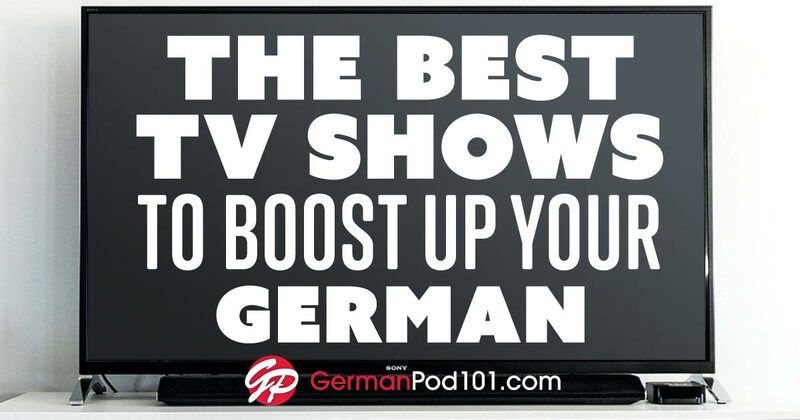 GermanPod101 is already the fastest, easiest and most fun way to learn German – but with your early access to our Cyber Monday pricing, it’s more affordable than ever! But for $5, you get unlimited access to 180+ hours of high-resolution audio and video lessons at GermanPod101. All lessons are made by real teachers and are designed to get you speaking. And you get brand new German lessons every week…for as long as you’re with us! Sneak Peek! Click here to learn German for as low as $5/month or $0.16/day! Your dream of learning German isn’t years off or some faraway fantasy: We will have you speaking German from your very first lesson – guaranteed or your money back! With your VIP sneak peek access and 50% instant discount, you can realize your dream of learning German in the next year for as little as just $5 a month. Ends in 36 hours! Click here to save $120 & learn German at HALF OFF! Click here to learn German ONLINE for as low as $0.16 cents/day! Black Friday is one of our favorite times of the year at GermanPod101. We planned on discounting all Basic and Premium plans by a massive 41% off to celebrate. But then we thought… How can we make this special day even better and really help everyone realize their dream of learning German? All members are guaranteed to start speaking German from the first lesson – no matter which plan you select! With 180+ hours of audio and video lessons by German teachers and loads of advanced learning tools and resources, we will help transform your dream of learning German into reality FAST! Today ONLY! Click here to learn German and save up to $122.40! To put your dreams of learning German on the fast track, be sure to sign up for our Premium plan. You get UNLIMITED access to our entire, easy-to-use learning system. There’s also an exclusive app included so you can learn anywhere, anytime – at your pace. You stay motivated with brand new lessons every week. You start speaking and understanding real German conversation in minutes. Our teachers explain every word and grammar point. Premium Study Tools: 2,000 German Words List, Smart Flashcards, Word Bank, Lesson Checklists and More! Only the first 101 to upgrade get the instant 51% discount off any GermanPod101 plan and once the spots are gone, so is this incredible opportunity to learn German at absolutely the most affordable prices of the year! 101 Spots Only! Click here to learn German at a MASSIVE 51% OFF. You won’t find such a discount and such an effective German learning method anywhere. We stand behind our claims so your plan comes with a 60-day money-back guarantee. If you’re dissatisfied with your progress, simply email us for a full refund. No questions asked. Today only! Click here to learn German with effective lessons and save $122.40! Click here to get unlimited German learning for just $0.16/day or $4.90/month! We’re one day away from Thanksgiving, our favorite American holiday of the year! In the spirit of the holiday, we’re giving you three Thanksgiving gifts: a FREE video lesson that will teach you to say “Thank You” in 31 languages, a Thanksgiving Vocab Lesson and 30% OFF ALL of our subscriptions so you can learn MORE German for LESS! Keep reading to learn more! Last Chance! Learn German with 30% Savings. Up to $72% OFF! 1. Ends Tonight! Get 30% OFF, Learn with Our Fast, Easy Lessons! Ready to start speaking German with lessons made by real teachers? Now’s your chance to get 30% OFF and start learning! Save on any subscription before we end the sale tonight! Unlock 180+ hours of audio and video lessons, lesson notes, exclusive apps, study tools and more. As low as $2.80/month and up to $72 OFF! Ends 11/25/2015! Ends Tonight! Click Here to Save Up to $72 & Learn German! It doesn’t take long to learn to say “Thank You” in 31 languages. In fact, it takes about 3 minutes! And anywhere you are in the world, saying this crucial phrase is always appreciated. In this special video lesson, you’ll learn how to say “thank you,” in 31 languages…from Arabic to Vietnamese. Sit back, listen and repeat. It’s our gift to you just in time for Thanksgiving. Click Here To View Your Thanksgiving Video Lesson! Thanksgiving will be celebrated tomorrow in the United States, and there’s no excuse for skipping your German Thanksgiving vocab practice. 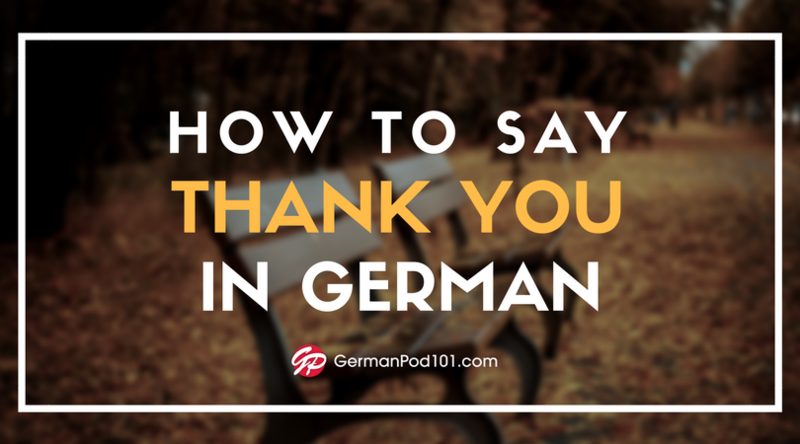 If you want to talk about Thanksgiving in German, these words are a must-know! 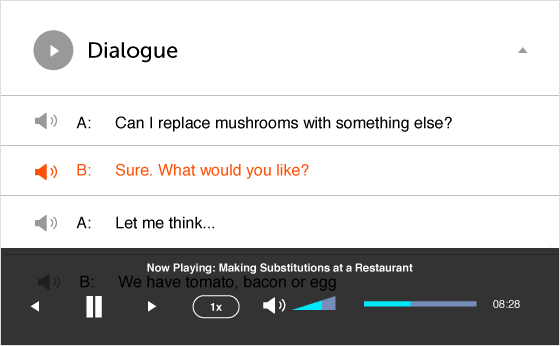 Review the words, listen to the audio pronunciation and see how they’re used in sample sentences. Click Here to Get Your FREE German Vocab Lesson Now! P.S. Final Day! Get 30% OFF, Learn German with Our Fast, Easy Lessons! Get a BIG 30% OFF before our Thank You Sale ends, tonight, 11/25/2015. Get an instant discount and start speaking German with our fast, easy lessons made by real teachers. You unlock 180+ hours of audio and video lessons, ALL lesson notes, exclusive apps, study tools and more! Just $7/month and $72 OFF with unlimited Premium access! Click Here to Get 30% OFF & Learn German with our Fast, Easy Lessons! Today, we have 3 ways to help you FULLY understand German conversations…simply by listening and reading along. In fact, it works so well, it’s almost like cheating. You understand 100% of the German that you hear. Result: You learn German faster. New words. New phrases. They’re all translated for you. Your listening improves. If you read out loud, your speaking improves. You already learn conversations with every lesson. But here’s how you apply this “listen and read” strategy to truly improve your German. If you’re a Basic or Premium user, check these 3 methods out! If not, take advantage of the 31% OFF extension on ALL Premium plans by Nov. 2nd. 2) Read in German or with English translations! 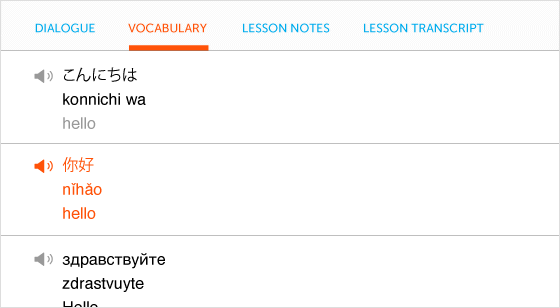 Your lesson notes also carry the conversation in German and English. 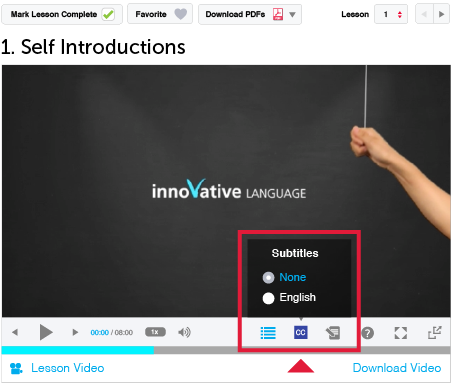 Find them in the Download PDFs section of any lesson. On top of this, you also get in-depth notes on grammar, culture and bonus sample sentences. Simply by listening and reading along, you’ll master all of the German conversations you hear. You’ll never miss a word. 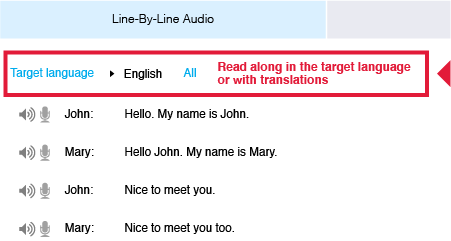 You’ll understand everything with instant translations. It’s almost like cheating! Try it out for yourself. If you’re a Basic or Premium user, start mastering German conversations with these 3 study tools. If not, take advantage of the 31% OFF extension on ALL Premium plans by November 2nd and unlock our entire German learning system. Our 10-Year Anniversary Countdown is 10 days of the BEST German deals of 2015. Want to learn German for the price of a coffee? Each deal lasts only 24 hours, then it’s gone FOREVER! Grab the best German deals of the year before the Countdown ends December 18th, 2015! How easy is it to forget new German words and phrases? Stopping to note them down takes a lot of time. You can write every word down on 100s of flashcards or in a notebook. That’s the time-consuming part of the battle. But wait! You STILL have to review them all! So here are 5 ways to never forget new German words with the Word Bank. It’s your personal, ever-growing collection of vocab. Come across a new word in a GermanPod101 lesson? Want to master specific vocab list? Save ‘em with 1 click and review ‘em in 1 spot – the Word Bank. And it’s just been updated with new features! If you’re a Premium user, be sure to check it out! If not, take advantage of our upcoming 500 Million Celebration Sale and get 30% OFF Premium or Premium PLUS (click here) with this sneak peek. 1) Never Forget New Words from Lessons. You’re listening (or watching) a GermanPod101 lesson. And you come across a new word. But hearing it once isn’t enough. 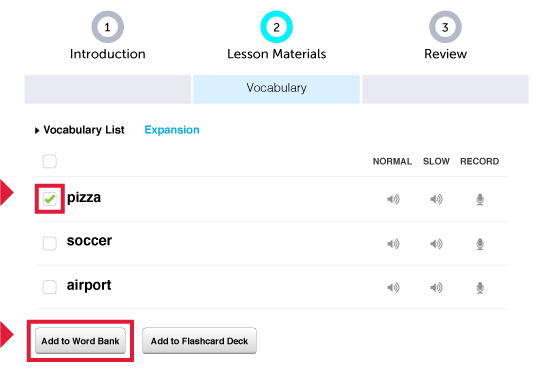 Find the word in the lesson’s vocabulary review list and click on “Add to Word Bank” to save it. Click here to visit the newly updated Word Bank! 2) Save New Words or Phrases from Vocab Lists. Know those “Free German Bonus” word and phrase lessons we send out? You can save these to your Word Bank as well for future review. Select your words, click on “Add Selected Words” and choose “Word Bank.” Done! 3) New! Review Quickly and Easily. Ready to review? You’ll find all your saved words in the Word Bank. We’ve updated it so it’s a lot cleaner and easier on the eyes. Review the words and meanings at a glance. You can also hear the native audio pronunciation. And, you can even enlarge the words as you hover over them. 5) Bonus! Print out your Word Lists as Physical Study Sheets! Want to have your words and phrases down on paper? This tactic is a favorite for some of our users. Just export your Word Bank entries into a PDF file and then print it as a physical study sheet. Add notes, create a notebook of word lists and much more! This is your personal, ever-growing collection of words. Save with 1 click, review them all in 1 spot and never forget German words again. Stay tuned for even more great learning tools and features to come!